The other day as I was readying myself to go out, I inadvertently left the bottom drawer open to the bathroom vanity. An accident waiting to happen, of course. As my shin hit the corner of the drawer the pain soared throughout my body. I honestly thought I chipped a bone. I ended up with a small nik and a bruise surrounding the area, which was quite painful to the touch. 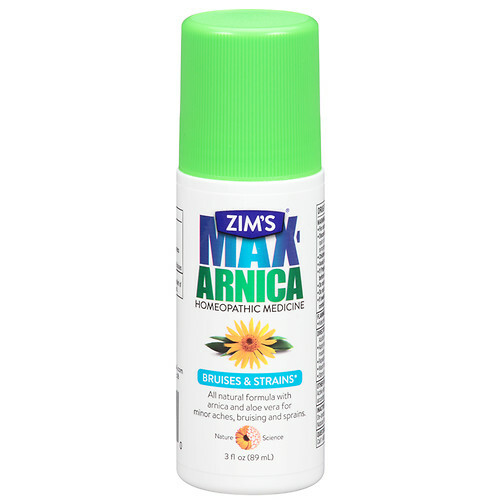 The next day I started using Zim's Max Arnica, a natural homeopathic medicine. The relief it provided was wonderful, but even better than the relief was that the bruise healed pretty quickly. This summer I've taken up jogging and I'm finding this to be indispensable aide to remedy my very sore muscles and joints. Every night I massage this onto my legs and lower back for relief. The roll on is fantastic, offers a cooling effect and absorbs nicely into the skin without leaving a residue. Very affordable and a must-have for the increased summer activity. 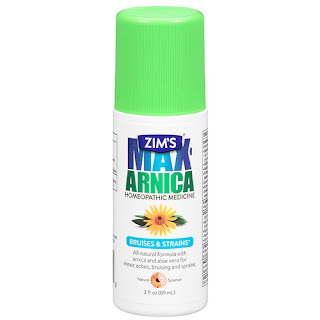 Zim's Max Arnica retails for around $10 for one or you could purchase in bulk at Amazon for an additional savings. Test samples were provide to facilitate a proper review, however, all opinions expressed are mine.